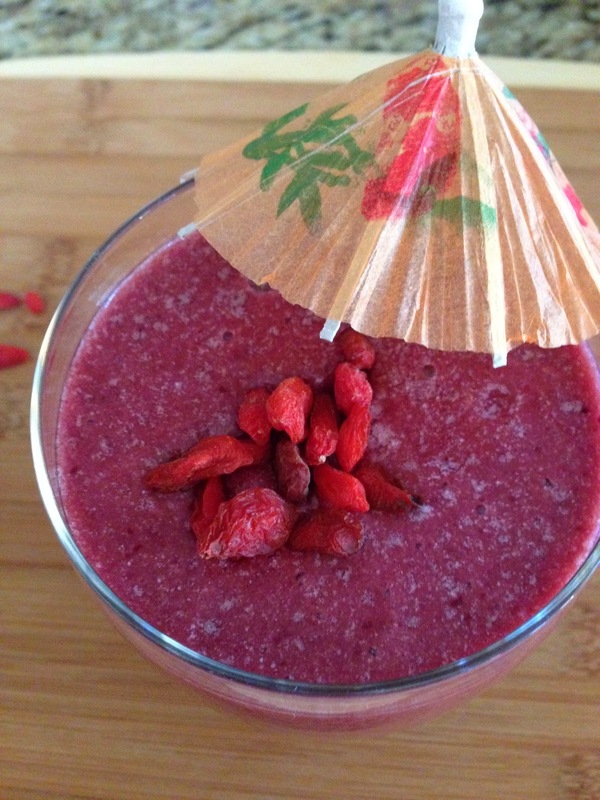 This is one of my favorite smoothie's that I tend to make during the warmer months of the year. Plus my weekly goal is to eat two raw meals a day so sometimes this is my lunch. I follow Philosophie's Berry Bliss recipe for this drink but I do add coconut oil to it and substitute the berries for cherries. A lot of people don't like the taste of coconut so if this is you I would recommend using refined (instead of unrefined) coconut oil. The refined doesn't have the coconut flavor so you can still get all of the amazing benefits that this oil has to offer. 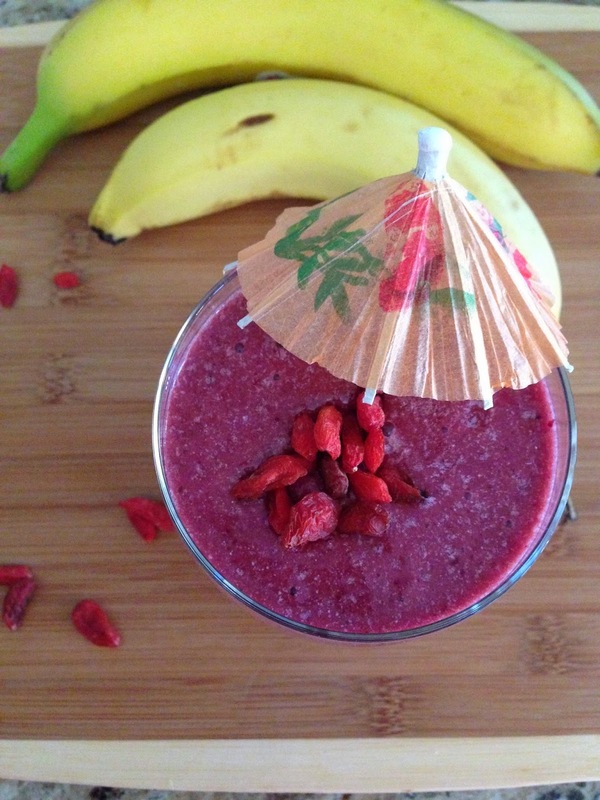 Blend all ingredients and garnish with goji berries. Throw a cocktail umbrella in it to make it extra fancy! *All opinions are my own and no compensation was received. Just sharing what I love! This looks amazing! 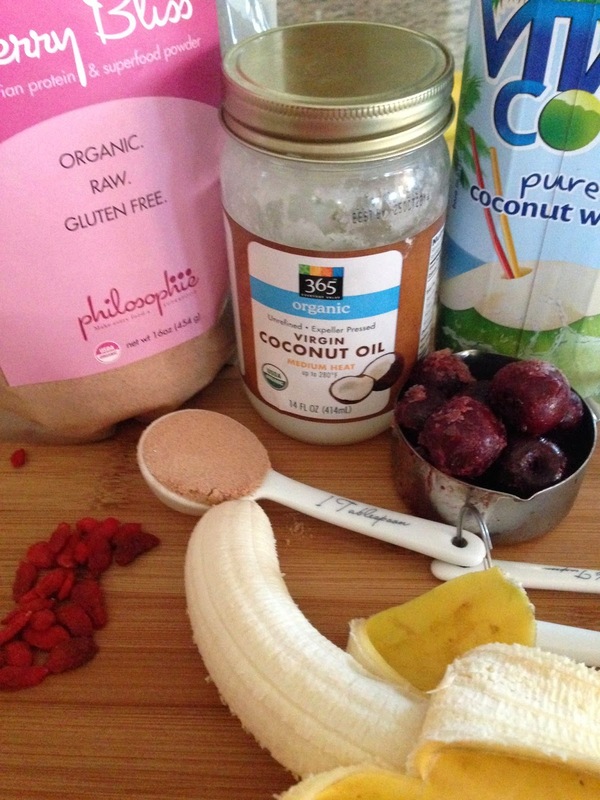 I'm always looking for new smoothie drinks to make :) Thanks for sharing!